On January 24, 1984, Apple Computer introduced the Macintosh. Back in 1984, the birth of the Macintosh was not a quiet affair. Among his many talents, Steve Jobs was one of the great orators and inspiring speakers of our time. Part sage, part showman, Jobs combined the wizardry of a magician with the skills of a master salesman. 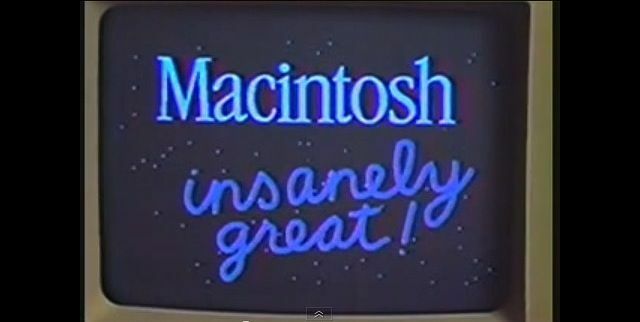 The Macintosh was his baby, the intended salvation for Apple, and he wanted it launched with flair. Many people have heard about, but not seen, one of the most influential demos of all — the actual unveiling of the Macintosh on January 24, 1984. In front of a group of Apple shareholders and VIPs, and giving a hint of Apple keynotes to come, a tuxedo-clad Jobs and his magical child stole the show. Now you can relive that glorious moment. Thirty years later this is still a great demo. Here’s to the Crazy Ones!